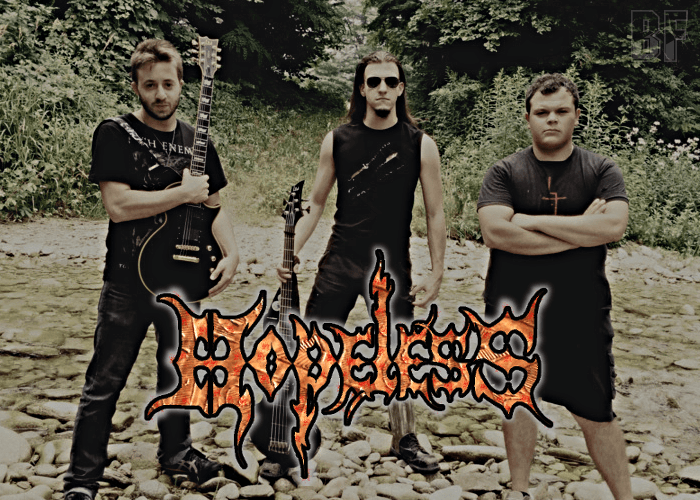 HOPELESS is an Italian young Death Metal band born only in early 2012. In 2014, the band starts writing its own songs, musically based on a melodic and tight Death Metal. From the very beginning, it focuses on themes of great importance, such as the environmental and social crisis that we are living, relation with religion and divinity, and the human soul, with its abyss and guilt. 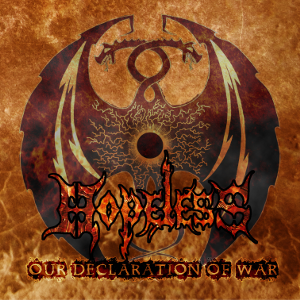 In August 2015, HOPELESS released the first self-produced EP entitled "Our Declaration Of War" with an in-your-face title, containing 5 songs, and it unexpectedly received good reviews from specialized webzines. It was recorded, mixed and mastered by Paolo Canu at Randagio Studio in Cuneo, Italy. “Our Declaration Of War” has already been sold-out in November 2015, and currently the digital download is only available. Since last September HOPELESS has been working on the following full-length album, having the concept about the awareness of the great potential which is hidden inside mankind.